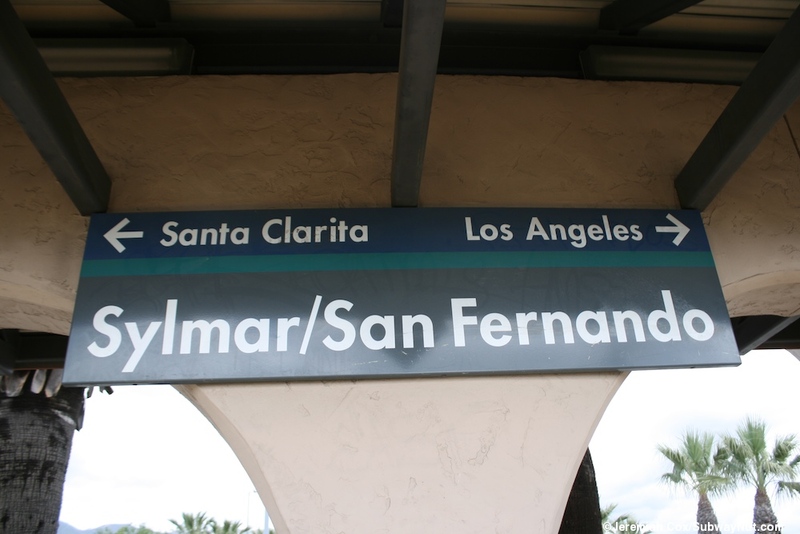 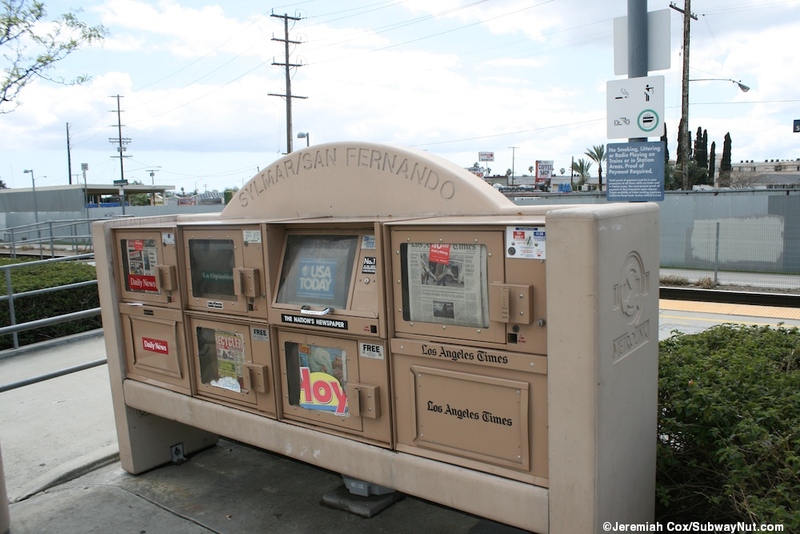 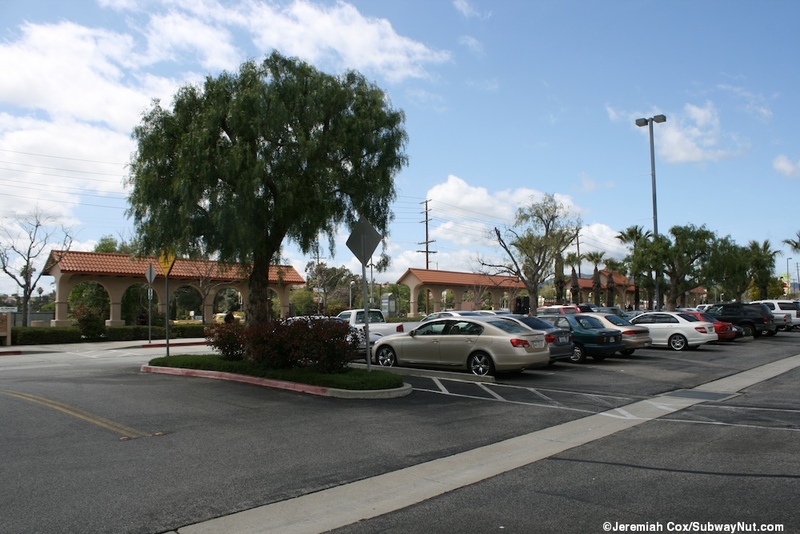 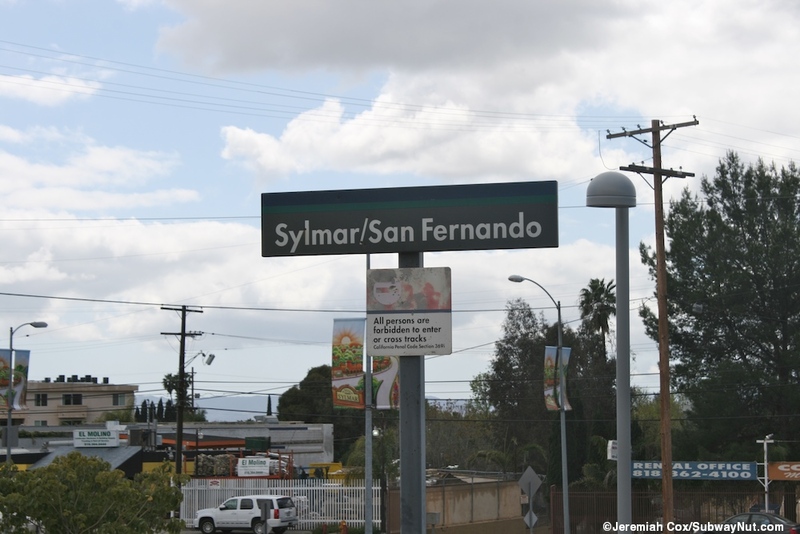 Sylmar/San Fernando is the last stop in the San Fernando Valley (and station that connects with LA Metro bus services) before trains rise up and go over Newhall Pass to reach the Santa Clarita Valley via the San Fernando Tunnel. 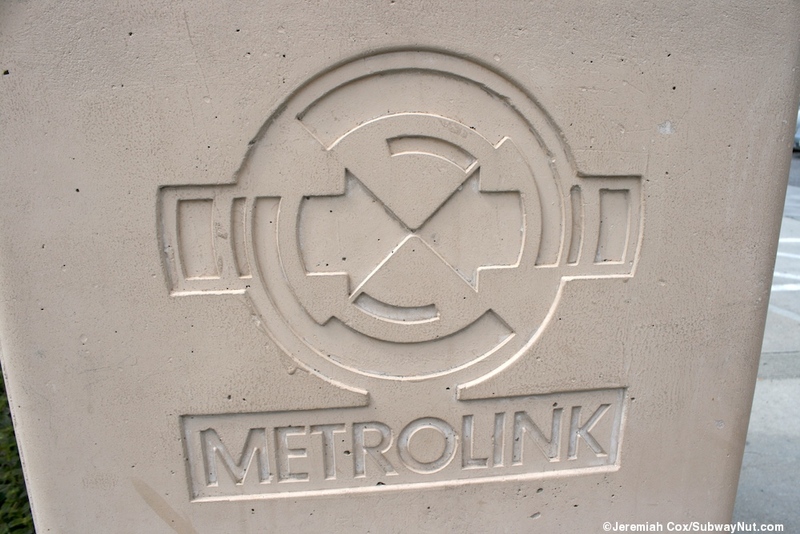 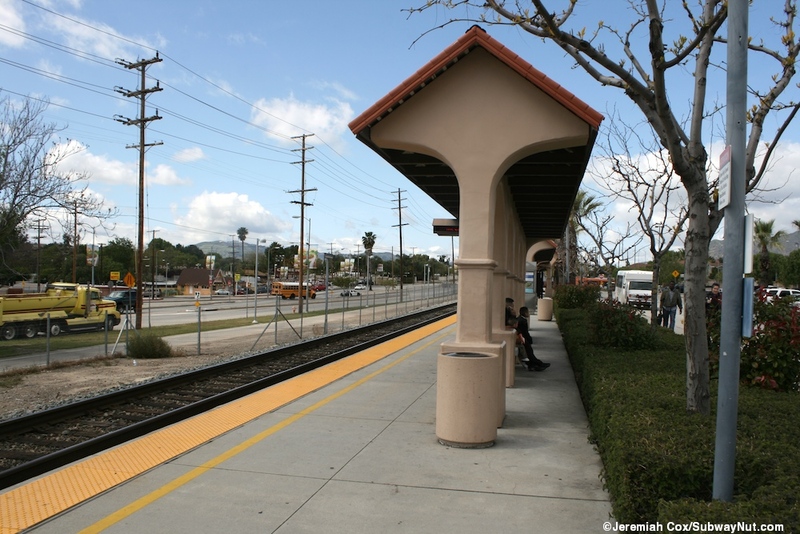 The station was under construction before the Northridge Earthquake struck and after the earthquake the station was completed as quickly as possible and opened on January 26, 1994. 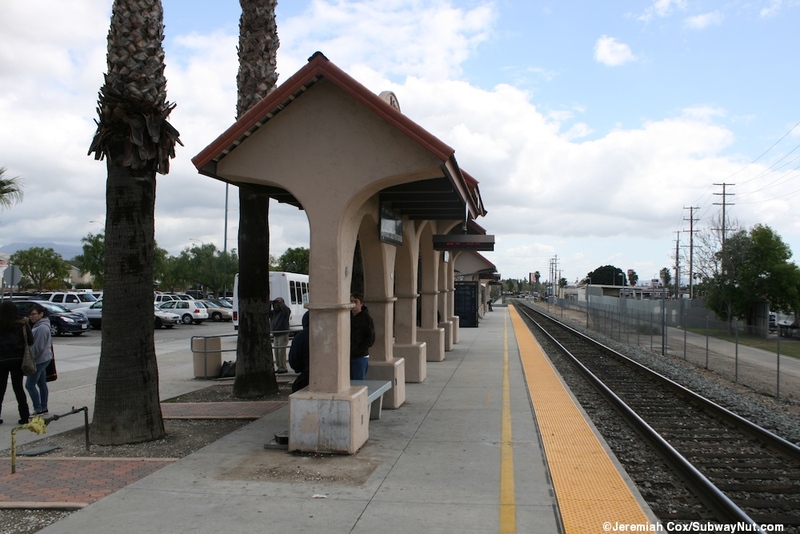 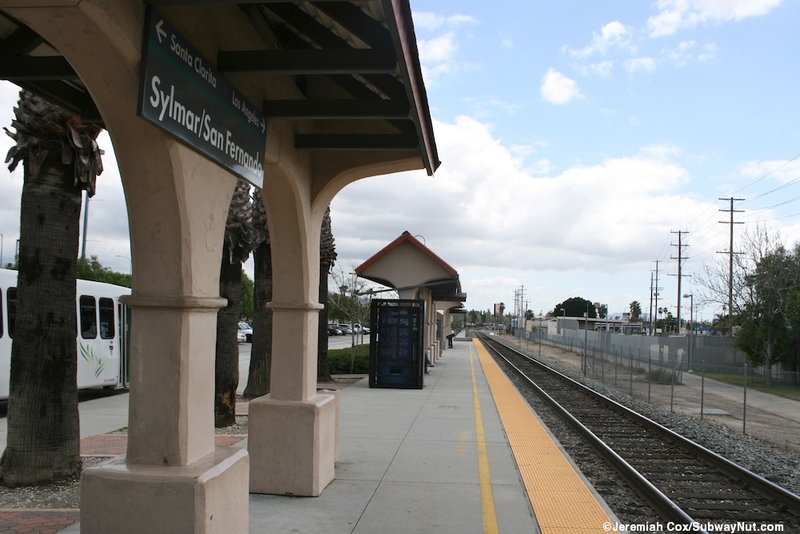 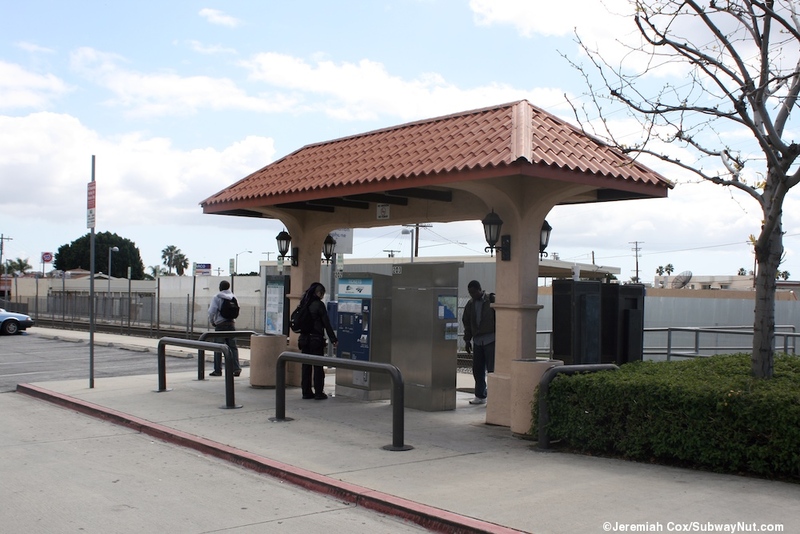 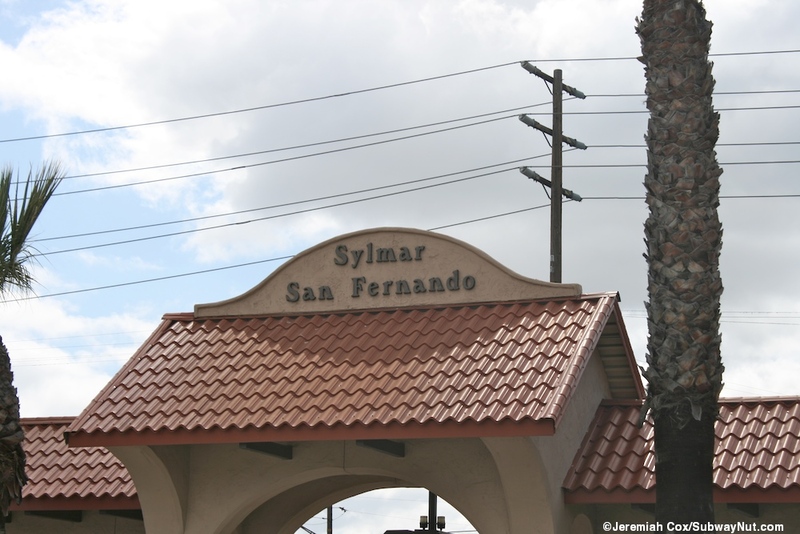 The Sylmar/San Fernando station consists of a single platform on a single track across from busy Truman Street/San Fernando Road. 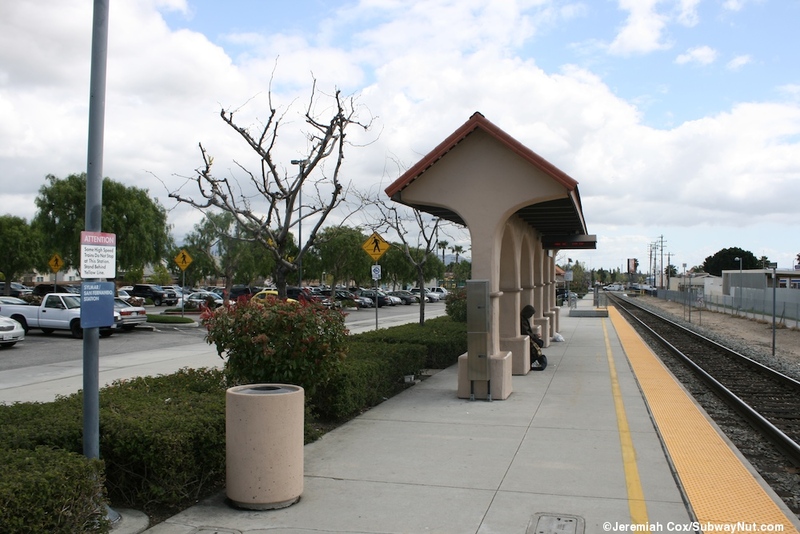 This platform has four mission-style arched canopy structures holding up red tile roofs. 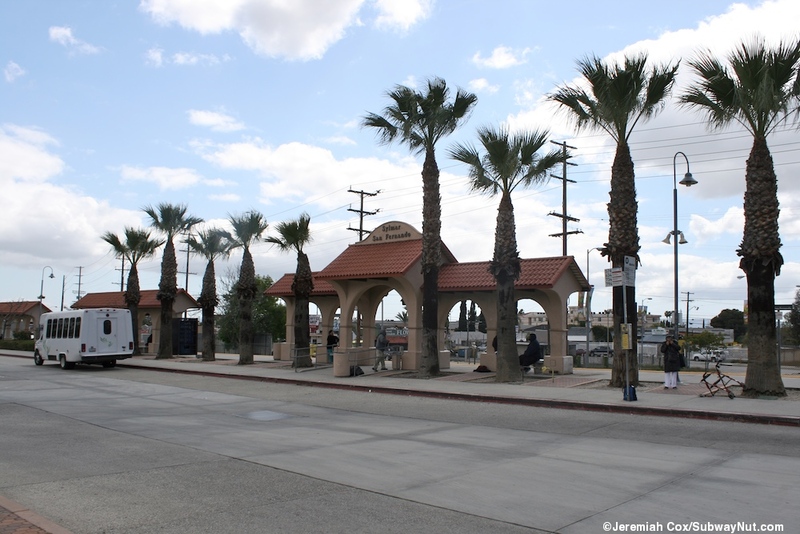 There are also palm trees along it. 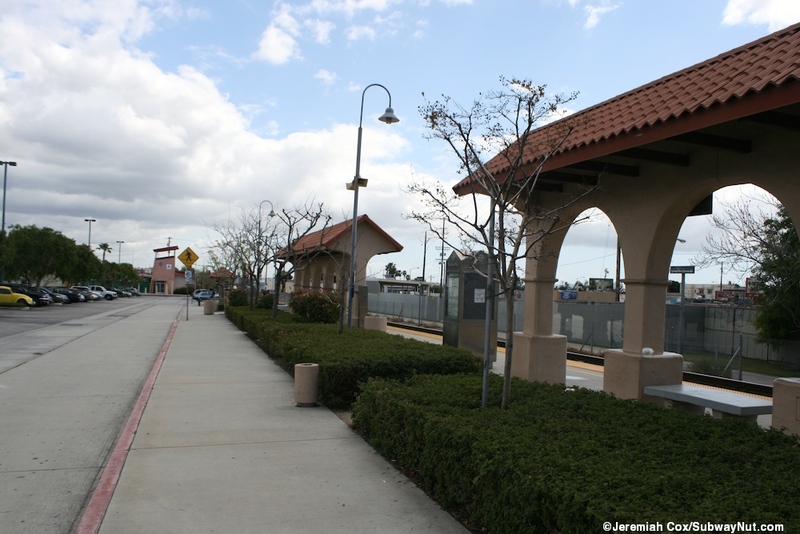 On the opposite side of the platform is the line of bus stops for the 8 LA Metro Routes (2 are rapids), and one City of Santa Clarita Transit, and LADOT Commuter Express routes. 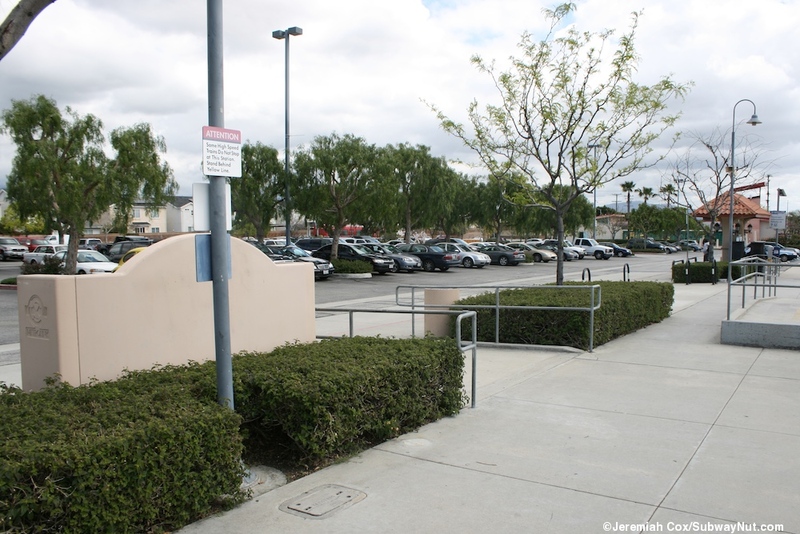 One of the four canopies is slightly larger than the others and this one faces the main access road into the small 375 space parking lot from and has the station's name etched on it. 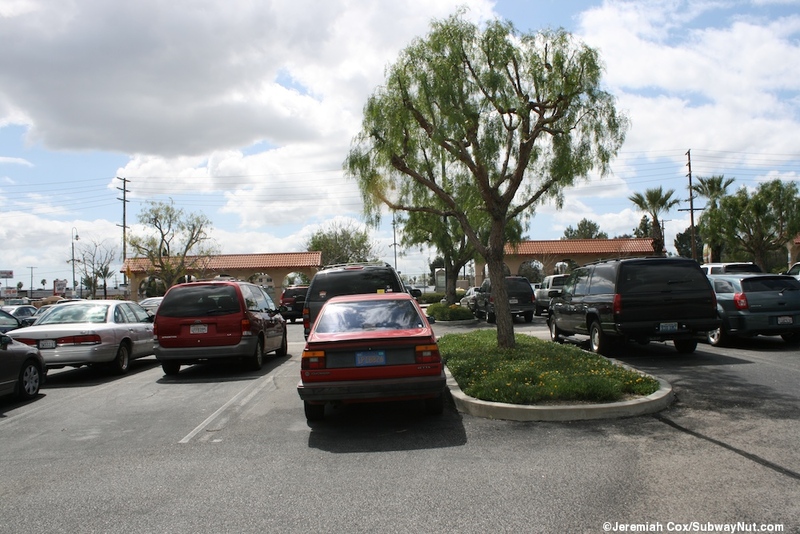 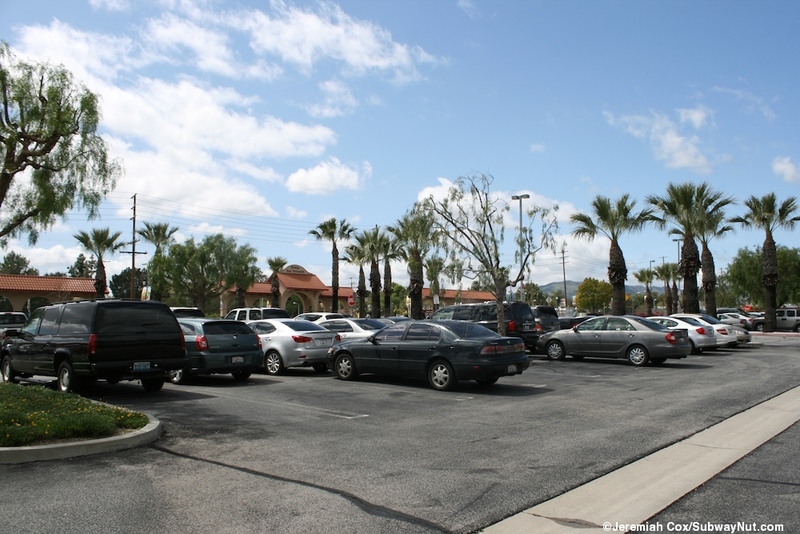 This parking lot runs the length of the platform between it and parallel Frank Modugno Drive. 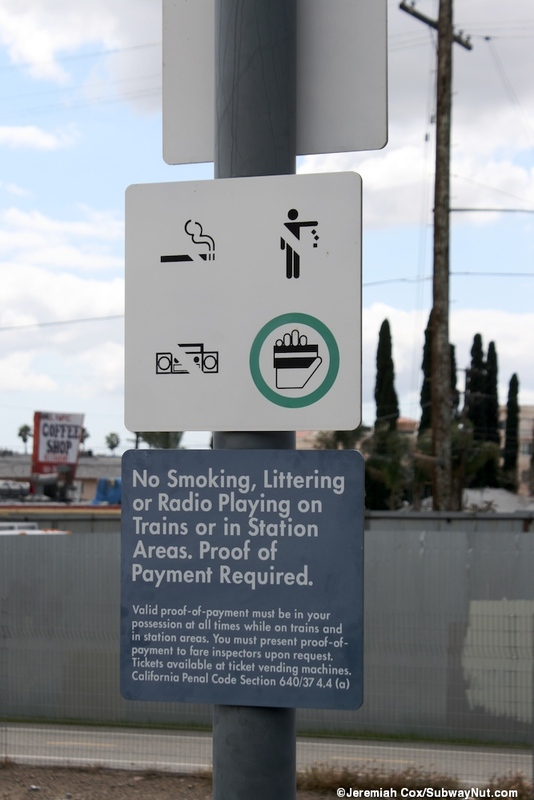 Along the entrance from Frank Mondugo Drive is where 1997 by Andro Avendano has been installed for the station's artwork, steel cut-outs of seven dancing figures. 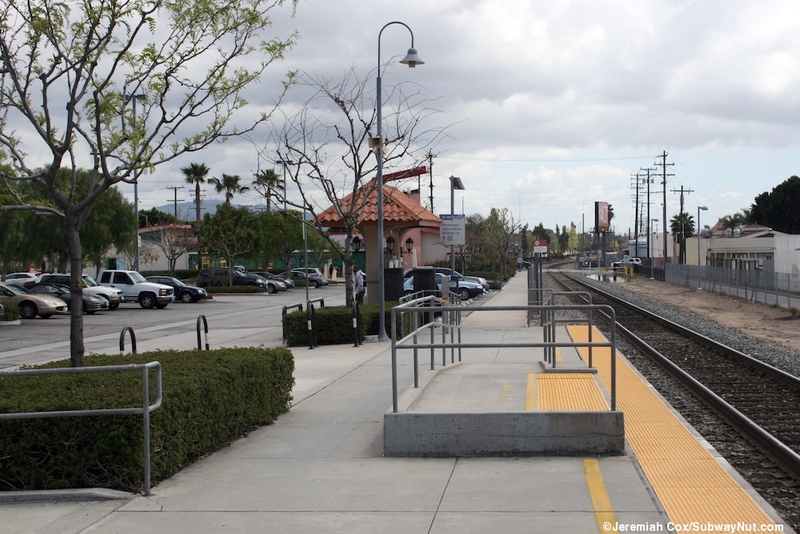 At the southern end of the platform just off of the platform is where the two station TVMs beneath a similar canopy and a long pedestrian path leads south, fenced off from the railroad track following the southern edge of the parking lot for some of its journey to the grade crossing with Hubbard Avenue. 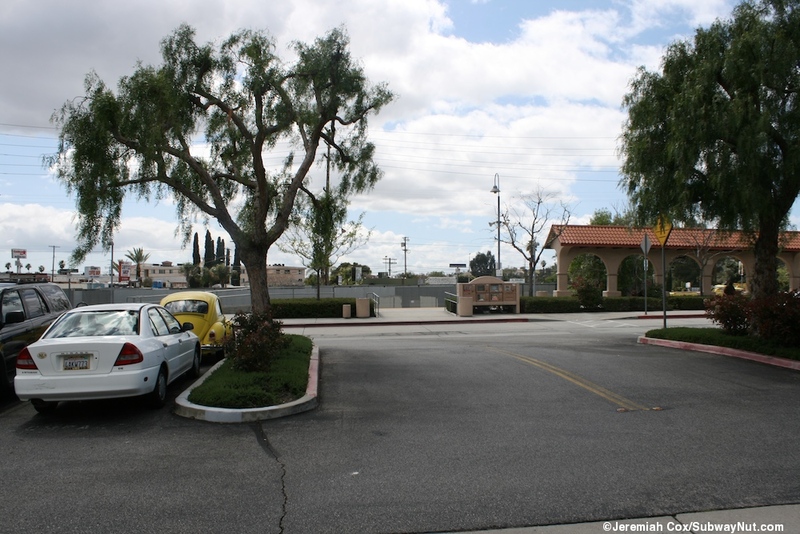 The station's main entrance sign from the street is at an unusual location, along the NW corner of Hubbard Avenue and Frank Modugno Drive where a modern building for the KinderCare Learning Center, a daycare is. 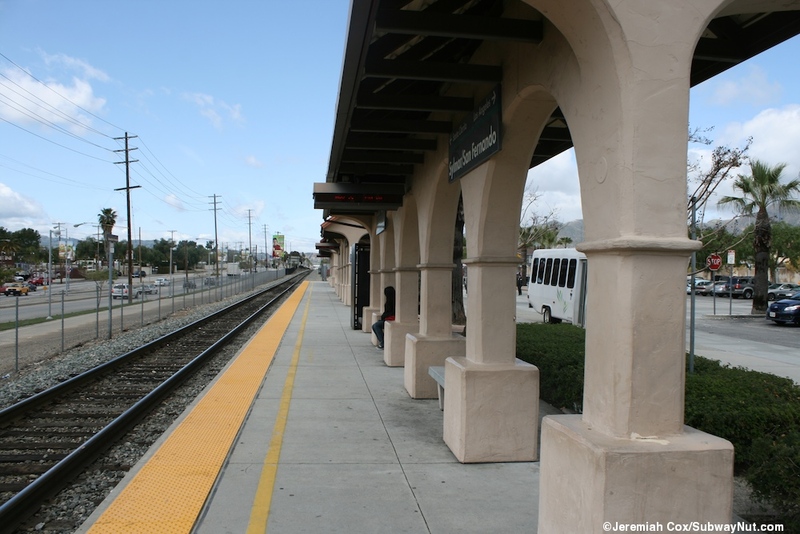 This center is designed to be a one stop place for working parents, drop your kid off and hop on the train for work.